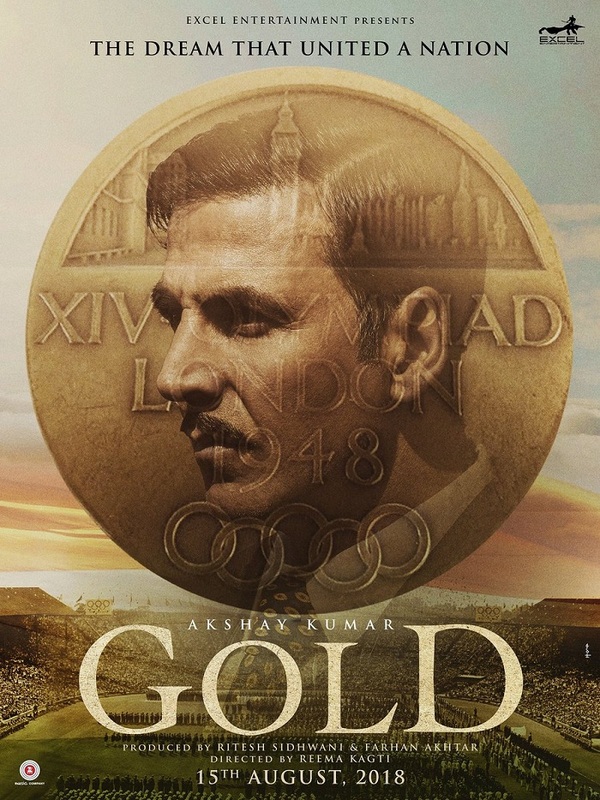 The first look poster of yet another Akshay Kumar film is out and this time it’s the keenly awaited ‘Gold’ which was first planned for Independence Day weekend this year, but was later postponed. 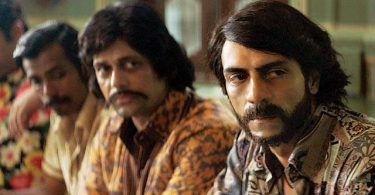 Gold is being directed by Reema Kagti, who last directed Aamir Khan in ‘Talaash’. The film is scheduled for theatrical release during what is turning out to be the Akshay Kumar weekend of the year – August 15, 2018. The film also features television actress Mouni Roy. Akki on fire !! Keep going strong..
I’m really impressed by Akshay but she’ll shocked that his so called stardom is being exposed. With a positive WOM, government support, large number of holidays, tax rebates and popular movie theme his movie has just like conjured up 129crs. Popular movie theme?? Are u out of ur fcukin idiot mind dumb assrkian or a Bhaitard?? its because WOM of TEPK was not that good what everyone thought and Indicine said that in many post about TEPK. And please don’t forget industry is going through a all time low phase. So, to score a 130cr. with mixed WOM is commendable job. Not many can do this and especially when releasing 3 or 4 movies in a year consistently. He should release this patriotic crapfest on July 1st instead in honour of his home nations Independence Day- Canadas Independence Day…! Instead of felt honored that an Indian actor is being honored with a Canadian citizenship you guys always try to abuse him about that. Akshay Kumar is Indian as well and he is doing all the good work for India only. Don’t forget about his donation in various occasions and Bharat Ke Veer app for martyrs. Could turn out to be his biggest opener ever as it’s releasing on national holiday. Toilet Released this year and due to that JHMS preponed And bombed while toilet collected more than double of JHMS. Srkians truly live in their own world. Will he cross Rowdy collections with this movie atleast!!!! Even varun and other youngsters are making 100 crs movie, he should raise this bar now…. But i dont think so!!!!! he can’t even deliver 80crs now! but someone like varun isn’t giving 100 cr regularly but akshay is doing that even though he does 3-4 movies per year. Loved d line akshay Kumar weekend of d year.poster is incredibly gold..
Again fake patriotism.Audience have become smart to not be cheated by such marketing gimmicks.I have to speak up against this Canadian superstar after seeing his fans create negativity available Baadshaho.Ab toh keh le lenge ADians Akki ki.He won’t be able to cross SR in his lifetime.Ajay was and has always been ahead of Akki except in early 2000s when Ajay sir was showing his versatility working in off beat films while Akki was running behind money doing nonsensical films that too in supporting roles. Happy Birthday to Akshay Kumar. God bless you and keep us entertained always. All the best for your upcoming projects, love you. Slowly and steadily emerging as one of the most versatile actors in Bollywood. he already is, he has excelled in every genre romance,action,drama comedy etc..